The Do Do Train will provide much entertainment for your baby. The lights, sounds, and moving ability will attract your baby’s attention and keep them moving by chasing the train. It also comes with balls that you can throw in the train, when they throw the balls faster the train will speed up. Your baby can also enjoy the train in loop mode. 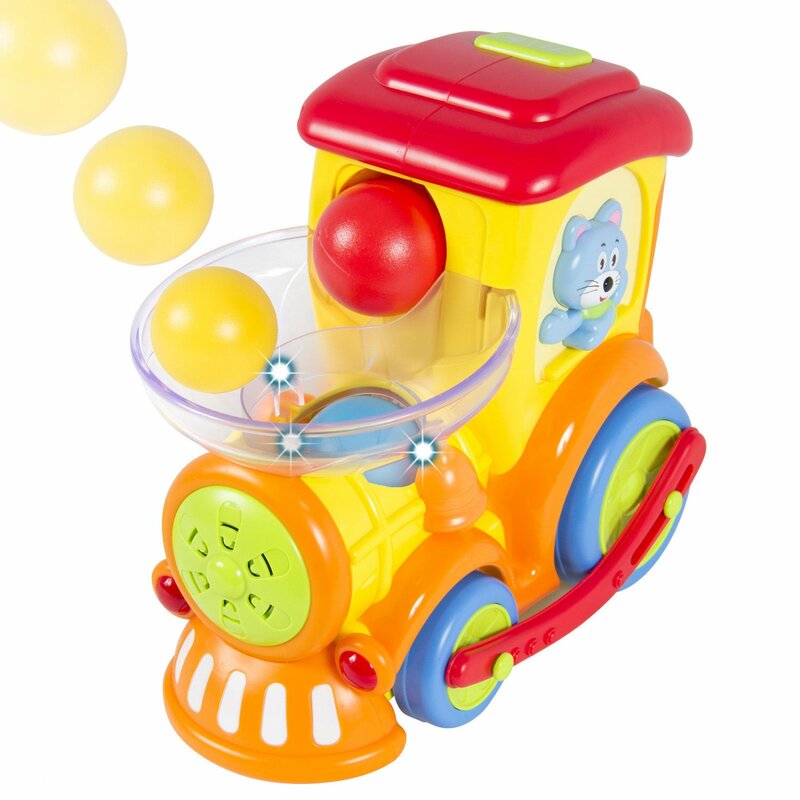 This will allow them to watch the music and lights while the balls loop from the top to the bottom of the train, without your baby having to throw the balls in. If you don’t want your baby chasing the train, there is no problem. You can turn off the moving mode and your baby can still enjoy throwing the balls in the train. You can watch as your baby laughs and smiles while playing with the Do Do train. It is an ideal toy for any baby or toddler.